FRYEBURG, ME – The results are in and Fryeburg Residents chosen their newest leaders. 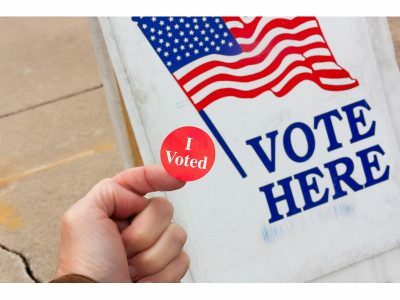 Poll officials said they had a nice steady stream of voters coming into the American Legion Hall on Bradley Street throughout the day yesterday. In the race to fill Janice Crawfords vacated selectmen seat Tom Kingsbury defeated Dave Brown by a vote of 396 to 332. The two three year seats on the MSAD 72 School Board will be filled by Allison Leach with 477 and Mary Di Nucci with 276. For the single two year seat on the school board Kim Devries won with 540 votes. Nicole Googin, who had 242 votes, will be the school board alternative. There were seven write ins in the school board elections. The two new Water District Trustees will be Jessica Knowles Lane, who had 104 vote, and David West, who had 91. The open House seat for District 70 goes to Warren Richardson with 70% of the vote. Nathan Burnett received the other 30% of votes. When it comes to first ever ranked choice voting state wide primary elections the Associated Press is calling the Republican gubernatorial primary for businessman Shawn Moody who, with about 70% of towns reporting, has 56.1% of the votes. His nearest competitor Garret Mason had 23.3% of the vote. The democratic primary is not being called just yet because not candidate could be called the outright winner. The front runner Janet Mills took 32.57% of votes and Adam Cote has 27.96%. When it comes to the new controversial Ranked Choice Voting it looks like Mainers remain in favor of it, but it is very close with the vote split 54.34% in favor and 45.66% against.